Family clan, playmate, partner in crime, and other descriptions come to mind when asked about siblings. Siblings can remain close throughout their entire lives. They may even attend school together. “We were close, especially in high school,” said Abby Suplee, freshman nursing major. Suplee is the younger sister to Marshall Suplee, senior triple major in accounting, sports management, and business. “We make purposeful family time here,” Suplee said. Ironically enough, at the start Suplee did not plan on attending the same school as her older brother. Priorities changed and the door became open for Abby to attend. Marshall Suplee said that if the only reason you choose to attend a school is because a sibling goes there, it may leave you unhappy. 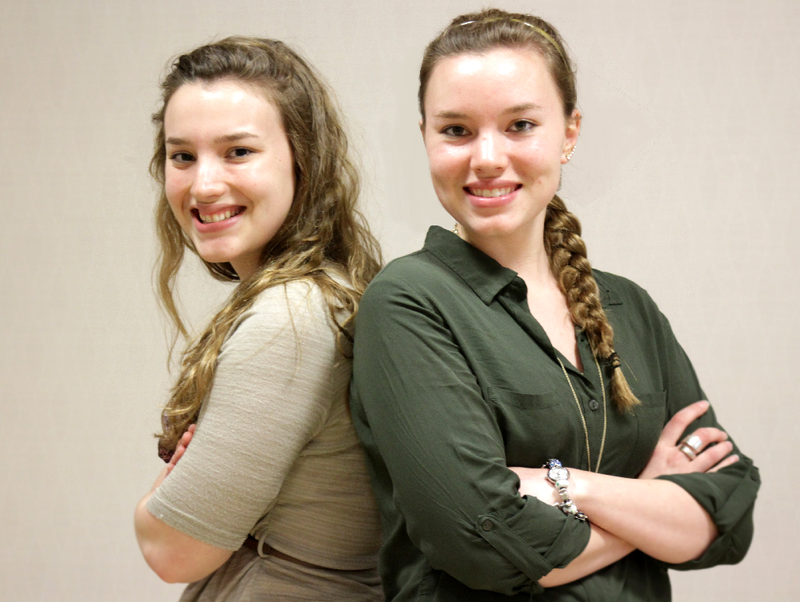 The Finley sisters started out at two different institutions. The differences shine most for the Finley sisters. Hannah and Elizabeth Finley emphasize the opportunity to grow together and apart from a sibling at the same time. “I don’t think there needs to be [an] ‘I’m following in their footsteps’ thing—you can still have a whole world separate from them,” Elizabeth Finley said. Bethany Brugger, freshman communication arts major, and Brittany Brugger, freshman nursing major, are twins who are sharing the college experience together as well. “We both have been able to find groups of friends within our majors that we can go to for help,” Brittany Brugger said. Both Brittany and Bethany also find practical advantages to going to school together. “It creates a sense of home even though I’m at college,” Bethany Brugger said. Whether it’s a sense of familiarity or more practical benefits, there are plenty of good things about sharing a campus with your sibling. Andrew Campbell is a contributing writer for The Aviso AVW.